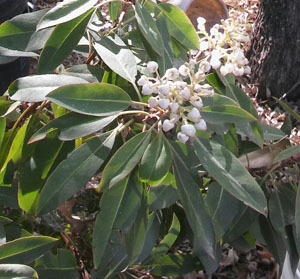 One of our favorite tree is the Texas and Arizona Madrone. They are harder to find in the wild but worth the effort! And starting in late Spring, they can put on a show! We have a great selection of Native Oak and Pine trees! Spring is the time to get those baby trees in the ground. The Sierra Vista nursery has Apple and Pear fruit trees now available! Mexican Blue Oak makes a great shade tree with an unusual dark blue color. It's a popular seller! We carry a wide variety of native plants from primarily Texas, Arizona, New Mexico and California. Many of the Oak Trees and Pine Trees grow throughout the US. We've sold lots of trees to the North Carolina as well as Utah - even recently to Las Vegas, NV so call us if you have questions about the tree you want and it's viability for your area. Mexican Blue Oak make great shade trees with a fabulous blue color! 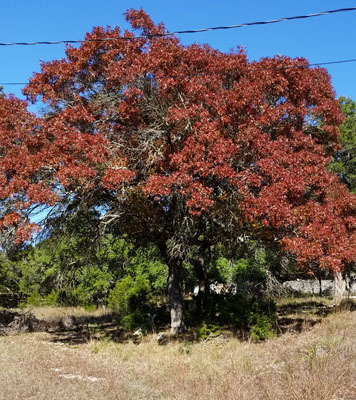 Looking for an Native Oak Tree? Doesn't matter if you are East Coast, or West Coast, we ship throughout the U.S.
Our nursery specializes in collecting a wide variety of Oak species. With our connections, we collect acorns from around the world, including a wide variety of California Native Oaks. We have two nursery locations, Central Texas and SE Arizona. Our original location is outside of Sierra Vista, Arizona. 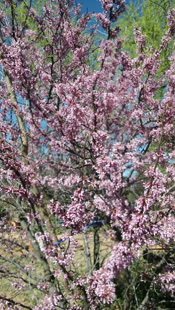 We can help you make the right selection of native trees for your area, from California to Virginia and in-between. We carry a limited amount of other Oak tree species as well : Netleaf Oak (quercus rugosa) - Mexican Blue Oak (quercus oblongifolia). The Mexican Blue Oak is a unique tree native to Arizona, New Mexico and Texas. The leaves are strong a dark blue color and have an unusual shape. The tree is very drought tolerant. When new leaves appear on the plant they are a wonderful light pink color. Typically, throughout the winter the tree is evergreen, however during the last severe cold winter with temperatures down to 3 degrees, the leaves were affected, but the plants survived.